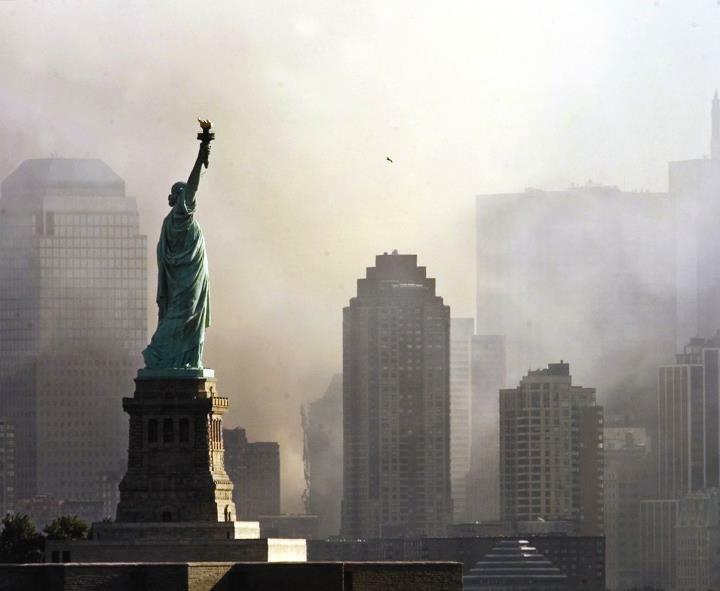 TEN YEARS LATER, LIBERTY KEEPS ON SHINING BRIGHT. GOD BLESS AMERICA! WE ARE ETERNALLY GRATEFUL TO THOSE WHO GAVE THEIR LIVES…AND TO THE FIRST RESPONDERS WHO SAVED SO MANY LIVES ON SEPTEMBER 11, 2011! WE MUST NEVER, NEVER FORGET WHAT HAPPENED…TO REMAIN VIGILANT IS TO REMAIN SAFE AND ALWAYS REMEMBER ASSHOLES NEVER TAKE A DAY OFF! A couple of days late on this…..thanks for the remembrance. « EXTREME GRIEVING INTO EXTREME HOPE!